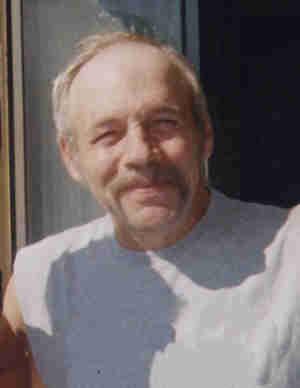 Michael P. Hoban, age 57, of Faribault died Sunday, November 4, 2007 at District One Hospital, Faribault. Services will be at the Boldt Funeral Home, Faribault on Friday, November 9, 2007 at 10:30 a.m. with Chris Sorensen-Woodside, Pastoral Minister of Divine Mercy Catholic Church, Faribault officiating. Visitation will be at the Boldt Funeral Home on Thursday, November 8 from 4 – 8 p.m. and also at the funeral home for one hour prior to the service on Friday. Michael Patrick, the son of Clarence W. and Margie E. (Van Roosmalen) Hoban, was born November 6, 1949 in Faribault. He graduated from Faribault Senior High School in 1968. He served in the U.S. Navy. He worked for Sammon Home Improvement, Faribault for many years. He is survived by two children, Charles Hoban of Faribault and Lacey (and Bryan) Camacho of Boynton Beach, FL; five siblings, James Hoban of Las Vegas, NV, Larry (and Jeri) Hoban of Northfield, Sharon (and James) Taylor of Austin, Timothy (and Rhonda) Hoban of Faribault, Jane (and Rick) Bauer of Faribault; a sister-in-law, Cathy Hoban of Faribault; the mother of his children, Jenny Hoban of Faribault; nieces, nephews, other relatives and friends. He was preceded in death by his parents; two brothers, Thomas in infancy and William Hoban; and a sister-in-law, Rose Hoban. I knew Mike through his son Charles. I remember him as being the most friendly person. He always listened and even offered me a place to stay when I was at my worst. He was so loving, giving and whole hearted and it is a true loss. I will never forget Mike and everything he has done for me, his family and close friends.